Wednesdays, 10.30 a.m. to 12.30 p.m. 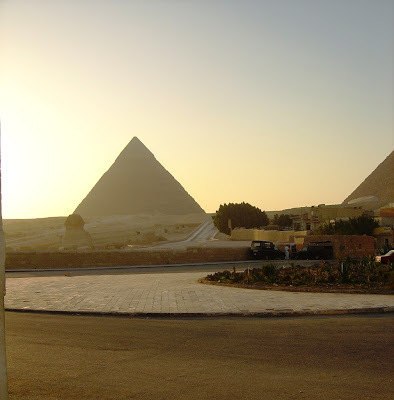 The Desert Fathers – and the Desert Mothers – including hermits, ascetics and monks, lived mainly in the settlement of Scetes in the Western Desert of Egypt beginning around the third century. They had a major influence on the development of Christianity, and many of their thoughts, stories, sayings and writings are collected in The Sayings of the Desert Fathers. The small communities forming around the Desert Fathers were the beginning of Christian monasticism. Initially Saint Anthony and others lived as hermits, sometimes forming groups of two or three. Small informal communities began developing, until the monk Saint Pachomius, seeing the need for a more formal structure, established a monastery with rules and organisation. 1, The austere life of the hermit, as practiced by Saint Anthony and his followers in lower Egypt. 2, The cenobitic life, lived by communities of monks and nuns in upper Egypt formed by Saint Pachomius. 3, A semi-hermitic lifestyle seen mostly in Nitria, Kellia and Scetis, west of the Nile, begun by Saint Amun. These were small groups of perhaps two to six monks and nuns with a common spiritual elder. These separate groups would join together in larger gatherings to worship on Saturdays and Sundays. This third form of monasticism was responsible for most of the sayings compiled as the Apophthegmata Patrum (The Sayings of the Desert Fathers). The Desert Fathers put more emphasis on living and practicing the teachings of Christ than on theoretical knowledge. Many stories recall their struggles to overcome negative emotions such as anger and judgment of others. Helping a brother monk who was ill or struggling took priority over other considerations. Hermits would frequently break a long fast when hosting visitors, as hospitality and kindness were more important than fasting. The lives of the Desert Fathers included frequent recitation of the scriptures. During the week they chanted psalms while performing manual labour and during the weekends they served liturgy and took part in group services. Group practices were more prominent in the organised communities formed by Saint Pachomius. The purpose of these practices were explained by Saint John Cassian, who described the goal of psalmody or the outward recitation of scripture and asceticism as the ascent to deep mystical prayer and mystical contemplation. The Sayings of the Desert Fathers include 1,202 sayings attributed to twenty-seven abbas and three ammas. 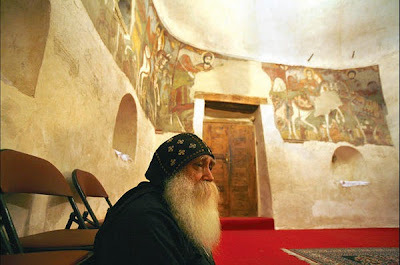 The notable Desert Fathers and Mothers include Saint Anthony, Abba Arsenius, Abba Poemen, Abba Macarius of Egypt, Abba Moses the Black and Amma Syncletica of Alexandria. Other notable Desert Fathers include Saint Pachomius and Shenouda the Archimandrite. Many Patristic writers who also spent part of their lives in the Egyptian Desert include Saint Athanasius of Alexandria, Saint John Chrysostom, Evagrius Ponticus, Saint Hilarion and Saint John Cassian. Desert monasticism appeared almost simultaneously in several areas, including Egypt and Syria. Saint Paul of Thebes is often credited with being the first hermit monk to go to the desert. He is also known as Saint Paul the First Hermit or Saint Paul the Anchorite. Familiar stories from The Life of Saint Paul the First Hermit, written in Latin by Saint Jerome ca 375/376, include: the meeting of Saint Paul and Saint Anthony, the raven who brought them bread, Saint Anthony being sent to fetch the cloak given him by “Athanasius the Bishop” to bury Saint Paul’s body, Saint Paul’s death before he returned, and the grave dug by lions. 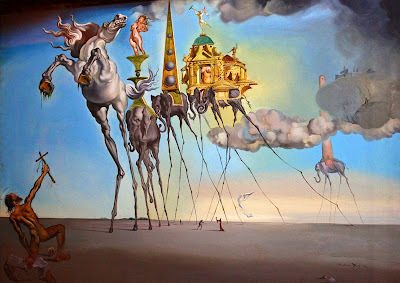 So, Saint Paul of Thebes is known to posterity because Saint Anthony was told in a dream ca 342 about the older hermit and went into the Desert to find him. Saint Jerome also tells the story of how these two Desert Fathers met when Saint Paul was aged 113. They conversed with each other for one day and one night. The Synaxarium shows the saints inviting each other to bless and break the bread as a token of honour. Saint Paul held one side, putting the other side into the hands of Father Anthony, and soon the bread broke through the middle and each took his part. When Saint Anthony next visited him, Saint Paul was dead. Saint Anthony clothed him in a tunic he was given by Saint Athanasius of Alexandria and buried him, with two lions helping to dig the grave. Saint Anthony returned to his monastery taking with him the robe woven with palm leaf. He honoured the robe so much that he only wore it twice a year, on Easter Day and the Day of Pentecost. The best-known of the Desert Fathers is Saint Anthony the Great, who moved to the desert in 270-271 and became known as both the father and founder of desert monasticism. 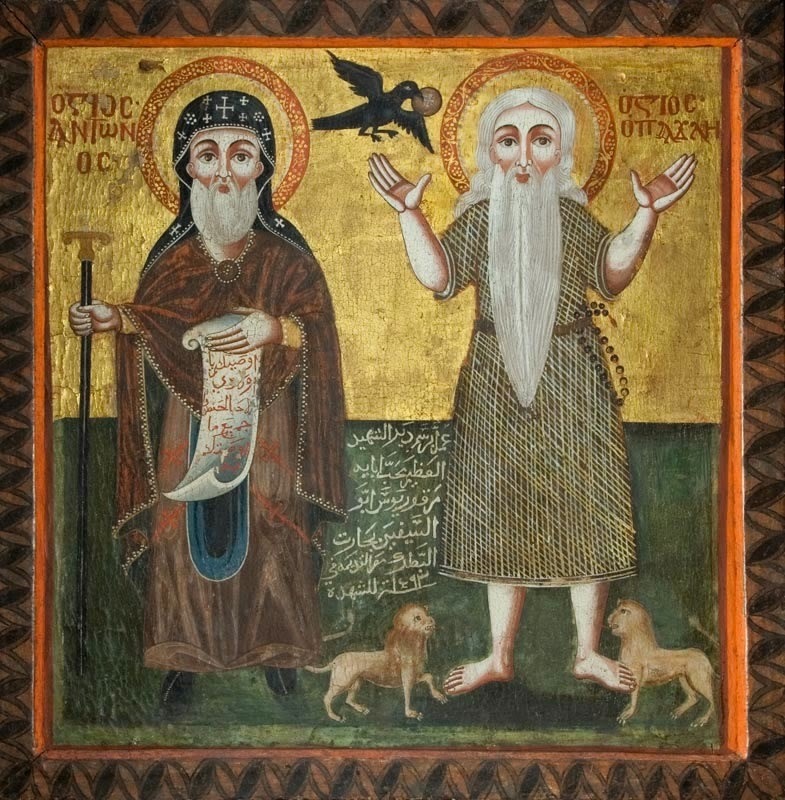 The biography of Saint Anthony by Saint Athanasius of Alexandria helped to spread monasticism, particularly in Western Europe through Latin translations. Sometime ca 270, Saint Anthony heard a Sunday sermon stating that perfection could be achieved by selling all one’s possessions, giving the proceeds to the poor, and following Christ (see Matthew 19: 21). He followed the advice and made the further step of moving deep into the desert to seek complete solitude. Saint Anthony lived in a time of transition for Christianity. The Diocletian Persecution in 303 was the last great formal persecution of Christians in the Roman Empire. Ten years later, Christianity became legal in Egypt under Diocletian’s successor, Constantine I. Those who left for the desert formed an alternative Christian society, at a time when it was no longer a risk to be a Christian. The solitude, austerity, and sacrifices of the desert were seen by Saint Anthony as an alternative to martyrdom, which was formerly seen by many Christians as the highest form of sacrifice. Over time, the model of Anthony and other hermits attracted many followers, who lived alone in the desert or in small groups. They chose a life of extreme asceticism, renouncing all the pleasures of the senses, rich food, baths, rest, and anything that made them comfortable. Thousands joined them in the desert, mostly men but also a handful of women. Religious seekers also began going to the desert seeking advice and counsel from the early Desert Fathers. Saint Pachomius was the first of the Desert Fathers to realise the need for a more formal structures for the monks and nuns in the Desert. He established a monastery with rules and organisation. His regulations included discipline, obedience, manual labour, silence, fasting, and long periods of prayer – some historians view the rules as being inspired by his experiences as a Roman soldier. The first fully-organised monastery under Saint Pachomius included men and women living in separate quarters, up to three in a room. They supported themselves by weaving cloth and baskets, along with other tasks. Each new monk or nun had a three-year probationary period, concluding with admittance in full standing to the monastery. All property was held communally, meals were eaten together and in silence, twice a week they fasted, and they wore simple peasant clothing with a hood. They came together several times a day for prayer and readings, and each person was expected to spend time alone meditating on the scriptures. Programmes were created for educating those who came to the monastery unable to read. Saint Pachomius also formalised the positions of an abba (father) or amma (mother) in charge of the spiritual welfare of the monks and nuns, with the implication that those joining the monastery were also joining a new family. Members also formed smaller groups, with different tasks in the community and the responsibility of looking after each other's welfare. The new approach grew to the point that there were tens of thousands of monks and nuns in these organised communities within decades of the death of Saint Pachomius. 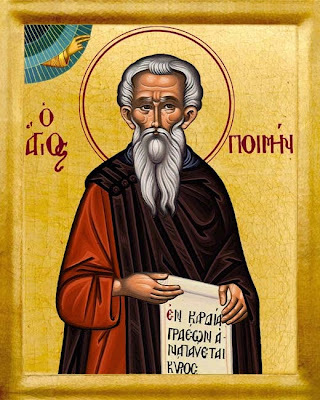 The greatest number of sayings in The Sayings of the Desert Fathers are attributed to Abba Poemen, whose name is derived from the Greek for shepherd. However, because of the wide disparity of dates for the sayings attributed to Abba Poemen, some scholars believe that “Poemen” was a generic name for a combination of different unnamed abbas. Others conclude that the sayings attributed to Abba Poemen are accurate, based on a notable and historical Abba Poemen. Evagrius Ponticus (Εὐάγριος ὁ Ποντικός), also called Evagrius the Solitary (345-399), was a monk, an ascetic and a gifted writer. Evagrius was born into a Christian family in Ibora, modern-day İverönü, Erbaa, in present-day south-central Turkey. He was educated in Neocaesarea, where he began his career in the church as a lector under Saint Basil the Great. Around 380 he joined Saint Gregory of Nazianzus in Constantinople ca 380, a year after Gregory had become Patriarch of Constantinople. There he became deacon, and then an archdeacon, and he was present in 381 at Constantinople I, the Second Ecumenical Council. Constantinople had many attractions, and Evagrius’s vanity was aroused by the praise of his peers. Eventually, he became infatuated with a married woman. Amid this temptation, he is said to have had a vision in which he was imprisoned at the request of the woman’s husband. This vision, and the warning of an attendant angel, made him flee from the capital and move to Jerusalem. For a short time, he stayed with Melania the Elder and Tyrannius Rufinus in a monastery near Jerusalem. But even there he could not shake off his pride. He confessed to Melania, and became a monk in Jerusalem in 383. He then joined a cenobitic community of monks in Nitria in Lower Egypt ca 385, and later moved to Kellia, where he spent the last 14 years of his life studying under Saint Macarios the Great (who had been a disciple of Saint Anthony the Great), and Macarius of Alexandria. Evagrius is said to be one of the first people to begin recording and systematising the oral teachings of the Desert Fathers. He was the teacher of other monks, including Saint John Cassian and Palladius of Galatia. He rigorously tried to avoid teaching beyond the spiritual maturity of his audiences. The most prominent feature of his work is his categorising different forms of temptation. He developed a comprehensive list of eight evil thoughts (λογισμοι), or eight terrible temptations, from which all sinful behaviour springs. This list was intended to serve a diagnostic purpose: to help readers identify the process of temptation, their own strengths and weaknesses, and the remedies available for overcoming temptation. He listed the eight patterns of evil thought as gluttony, greed, sloth, sorrow, lust, anger, vainglory, and pride. Two centuries later in 590, Pope Gregory the Great refined this list in the Seven Deadly Sins. Saint John Cassian’s works brought the wisdom of the Desert Fathers into a wider arena, especially to the early medieval West. Saint John Cassian was born ca 360, most likely in the region of Scythia Minor (now Dobruja, on the borders of Romania and Bulgaria), although some scholars think he may have been of Gallic origin. As a young adult, he went with an older friend, Germanus to Palestine, where they stayed for about three years in a hermitage near Bethlehem. From there, they moved to the Scete in the Western Desert of Egypt, and visited a number of monastic foundations. Then, ca 399, Saint John Cassian and Germanus fled to Constantinople during a controversy provoked by Archbishop Theophilus of Alexandria and other followers of Origen. They sought protection from the Patriarch of Constantinople, Saint John Chrysostom. John Cassian was ordained a deacon and became an adviser the Patriarch. When Saint John Chrysostom was forced into exile from Constantinople in 404, John Cassian was sent to Rome to plead his case before Pope Innocent I. In Rome, he accepted the invitation to found an Egyptian-style monastery near Marseilles, in southern Gaul. He may also have spent time as a priest in Antioch between 404 and 415, but he was in Marseilles by 415. His Abbey of Saint Victor, which included monasteries for men and women, became a model for later monastic foundations in the Western Church. The single most important influence on his ideas was Evagrius Ponticus, and his writings codified and transmitted the wisdom of the Desert Fathers of Egypt. The Institutions deal with the external organisation of monastic communities, while the Conferences deal with “the training of the inner man and the perfection of the heart.” His books were written in Latin, in a simple, direct style. They were swiftly translated into Greek, which indicates the Eastern monks recognised him as one of their own. Saint John Cassian’s achievements and writings influenced Saint Benedict, who incorporated many of the principles into his monastic rule, and recommended his own monks to read the works of Cassian. Since Benedict’s rule is still followed by Benedictine, Cistercian, and Trappist communities, and Saint John Cassian’s thinking still influences the spiritual lives of thousands of men and women. Saint John Cassian died in 435 in Marseille. Last Wednesday [30 March 2016], the calendars of the Church commemorated Saint John Klimakos (Ἰωάννης τῆς Κλίμακος), the author of the great spiritual work The Ladder of Divine Ascent. The ascetic example of Saint John Klimakos is also inspiring during our Lenten journey. The Ladder is one of the most widely read and much-loved books of Orthodox spirituality, and is read especially during Great Lent. It is often read in the refectory in monasteries, and in some churches it is read as part of the Daily Office on Lenten weekdays. Saint John Klimakos was a seventh century monk in Saint Catherine’s Monastery on Mount Sinai. Although his lifespan is often given as 525-606, we have little information about the life of this saint apart from a hagiography by a monk named Daniel of Raithu monastery, who admits he knows nothing about Saint John’s origins. In various accounts, the date of his birth is given between 505 and 579 in Syria – although other sources say he was born in Constantinople. Any speculation about his birth comes from a much later period. But it is said Saint John came to the monastery on Mount Sinai and became a novice when he was aged about 16. On Mount Sinai, he was taught about the spiritual life by the elder monk Martyrius. After Martyrius died, John withdrew to a hermitage at Tola at the foot of the mountain, about 8 km from Saint Catherine’s. He lived in his hermitage in Tola for 20 years, constantly studying the lives of the saints, and became one of the most learned of the Church Fathers. There too, he was sought out for spiritual direction, and he also visited several monasteries near Alexandria. Far from being an escape from the world and human life, his retreat led to ardent love for others and for God. At about the age of 75, the monks of Mount Sinai persuaded him to become their igumen or abbot, and in this role he showed great wisdom. Shortly before his death, he resigned as abbot to return to his solitary life. Once again, various dates are given for his death on Mount Sinai, between 605 and 649. 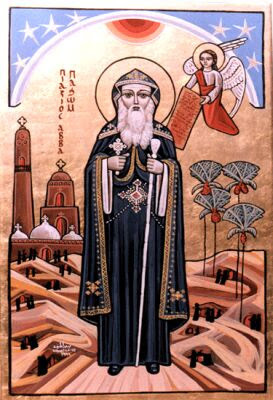 His Κλίμαξ or The Ladder of Divine Ascent was written in the early seventh century at the request of Abbot John of Raithu, a monastery in Sinai on the shores of the Red Sea. He also wrote To the Pastor, which may have been an appendix to The Ladder. In The Ladder, Saint John describes how to raise one’s soul and body to God through the acquisition of ascetic virtues. He uses the analogy of Jacob’s Ladder as the framework for his spiritual teaching. Each chapter is referred to as a step, and deals with a separate spiritual subject. There are 30 steps of the ladder, corresponding to the age of Christ at his baptism and the beginning of his earthly ministry. Within the general framework of a ladder, The Ladder is divided into three sections. The first seven Steps concern general virtues necessary for the ascetic life, while the next 19 (Steps 8-26) give instruction on overcoming vices and building their corresponding virtues. The final four steps (27-30) concern the higher virtues towards which the ascetic life aims. The final rung of the ladder – beyond prayer (προσευχή), stillness (ἡσυχία), and even dispassion (ἀπαθεία) – is love (ἀγάπη). The Ladder describes how to raise one’s soul and body to God, as if on a ladder, the goal of which is θέωσης (theosis), or mystical union with God. This book is one of the most widely-read among Orthodox Christians, especially during this season of Great Lent. It is often read in the trapeza or monastic refectory during Lent, and in some places it is read in church as part of the Daily Office during the weekdays of Lent. 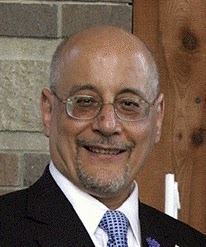 Saint John Klimakos uses the analogy of Jacob’s Ladder to provide the framework for his spiritual teaching. Each chapter is referred to as a “step,” and deals with a separate spiritual subject. There are 30 steps on the ladder, which correspond with the age of Christ at his baptism and the beginning of his earthly ministry. The first 23 steps give instruction on overcoming the vices, and the remainder speak of building the virtues. The Ladder holds dispassionateness (apatheia) as the ultimate contemplative and mystical good in a Christian. I should advise that reading this book is usually reserved for monastics or lay people who have progressed spiritually, and Orthodox Christians say that this book should only be read with the permission and guidance of a Spiritual Father. 30, Περί αγάπης, ελπίδος και πίστεως (on linking together the supreme trinity among the virtues; a brief exhortation summarising all that has said at length in this book). If you have developed any doubts during this module about the potential for humour among the Early Fathers, then let me say that my own misgivings were dispelled a few years ago by Dr George Bebawi, an Egyptian scholar now living in Indianapolis. “I’ll get to them, in my own good time,” the monk replied nonchalantly. 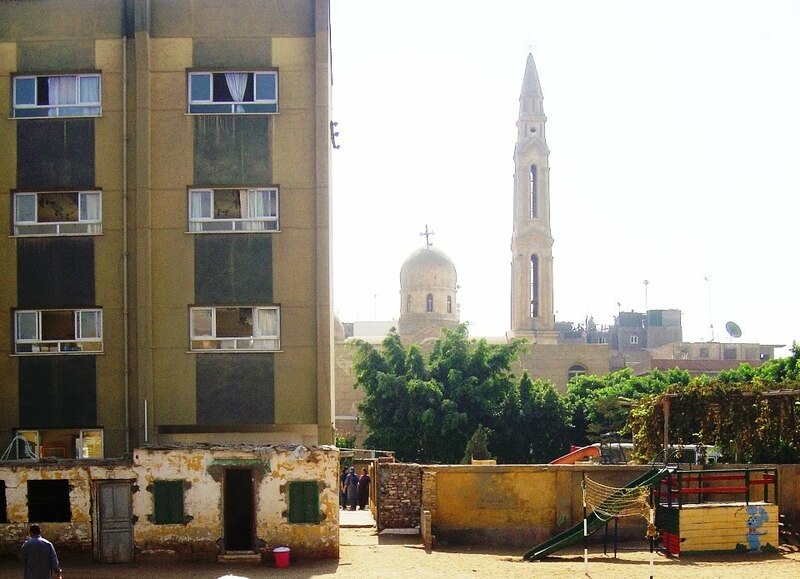 There was a monk in Egypt who wanted to be martyr. His abbot warned him against false heroism and told him it was easy to be unusual. 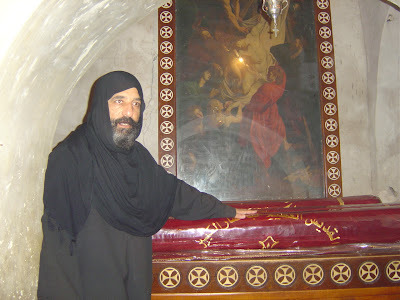 True heroism, the abbot said, is found in daily life, looking for reality and finding God’s will there. The monk persisted in his quest for martyrdom, however, and headed off to an area controlled by nomadic tribes, and he demanded to become a martyr. But once the nomadic people captured the monk, he was unable to resist, and rather than accept the pain of martyrdom he worshipped their idols. He returned to the monastery, where the abbot reminded him that true heroism often lies in dealing with daily realities rather than seeking to be dramatic or unusual. As pilgrims began visiting the monks in the desert, the early writings of Desert Fathers circulated quickly. Latin versions of the original Greek stories and sayings of the Desert Fathers, along with the earliest monastic rules, shaped the development and growth of the early monastic communities, first in the Byzantine world and then throughout western Christian world. As we have seen, the Rule of Saint Benedict was strongly influenced by the Desert traditions. Saint Benedict urged his monks to read the writings of Saint John Cassian on the Desert Fathers. The Sayings of the Desert Fathers was also widely read in the early Benedictine monasteries. All the monastic revivals of the Middle Ages looked to the Desert Fathers for inspiration and guidance. Saint Basil of Caesarea took the Rule of Saint Pachomius to the Eastern Church. Saint Basil expanded the idea of community by integrating the monks and nuns into the wider public community, with the monks and nuns under the authority of a bishop and serving the poor and needy. The desert communities became the model the monastic life on Mount Athos, and much of Orthodox spirituality, including the practice of the Jesus Prayer and the Hesychast movement, had its roots in the experiences of the Desert Fathers. It became a popular practice in Byzantine meditative prayer techniques in the 14th century. In this way, it became more closely identified with the Prayer of the Heart, or the Jesus Prayer. 6, 11.30 a.m.: The Patristic Legacy, especially for Anglicans. (Revd Canon Professor) Patrick Comerford is Lecturer in Anglicanism, Liturgy and Church History, the Church of Ireland Theological Institute, and an Adjunct Assistant Professor, Trinity College Dublin. This lecture on 6 April 2016 was part of the Year I MTh module, Introduction to Patristics.